Hao was once a famous chef but his Chinese restaurant is now an unpopular destination due to changing tastes of modern people. He despises the fact that people nowadays do not respect traditional dishes and has become a bitter old man who is difficult to deal with. Hao's only hope is that his grandson Mark enters a prestigious university, but Mark's dream is to follow his grandfather's footsteps and become a chef and take over the restaurant. Due to Hao's difficult personality, the restaurant is on the verge of bankruptcy and he finally collapses. 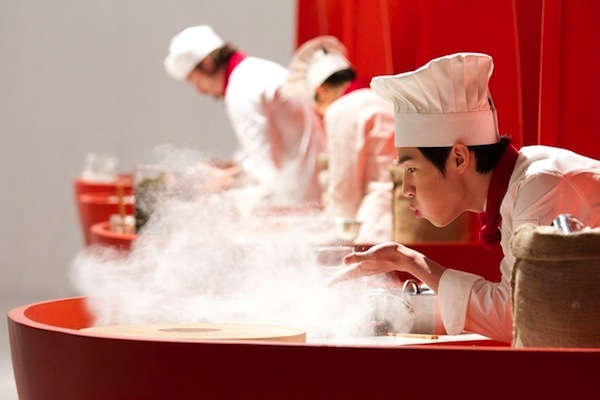 In order to save the restaurant, Mark enters a cooking contest without his grandfather's knowledge and consent in Shanghai. He competes against talented chefs from Japan, Korea and Australia, and freely shows of ravishing cooking skills that he has accumulated from his grandfather over the years.